1 D None No Power Seat 1 D is a standard Economy Class seat located at a bulkhead. There is no floor storage for use during takeoff and landing. The proximity to the lavatory and galley might be bothersome. 1 E None No Power Seat 1 E is a standard Economy Class seat located at a bulkhead. There is no floor storage for use during takeoff and landing. The proximity to the lavatory and galley might be bothersome. 1 F None No Power Seat 1 F is a standard Economy Class seat located at a bulkhead. There is no floor storage for use during takeoff and landing. The proximity to the lavatory and galley might be bothersome. 2 A None No Power Seat 2 A is a standard Economy Class seat located at a bulkhead. There is no floor storage for use during takeoff and landing. The proximity to the lavatory and galley might be bothersome. 2 C None No Power Seat 2 C is a standard Economy Class seat located at a bulkhead. There is no floor storage for use during takeoff and landing. The proximity to the lavatory and galley might be bothersome. 20 A None No Power Seat 20 A is a standard Economy Class seat located in the last row of the aircraft. Seat recline might be limited. The proximity to the lavatory and the galley might be bothersome. 20 C None No Power Seat 20 C is a standard Economy Class seat located in the last row of the aircraft. Seat recline might be limited. The proximity to the lavatory and the galley might be bothersome. 20 D None No Power Seat 20 D is a standard Economy Class seat located in the last row of the aircraft. Seat recline might be limited. The proximity to the lavatory and the galley might be bothersome. 20 E None No Power Seat 20 E is a standard Economy Class seat located in the last row of the aircraft. Seat recline might be limited. The proximity to the lavatory and the galley might be bothersome. 20 F None No Power Seat 20 F is a standard Economy Class seat located in the last row of the aircraft. Seat recline might be limited. The proximity to the lavatory and the galley might be bothersome. Interjet offers access to music while inflight. 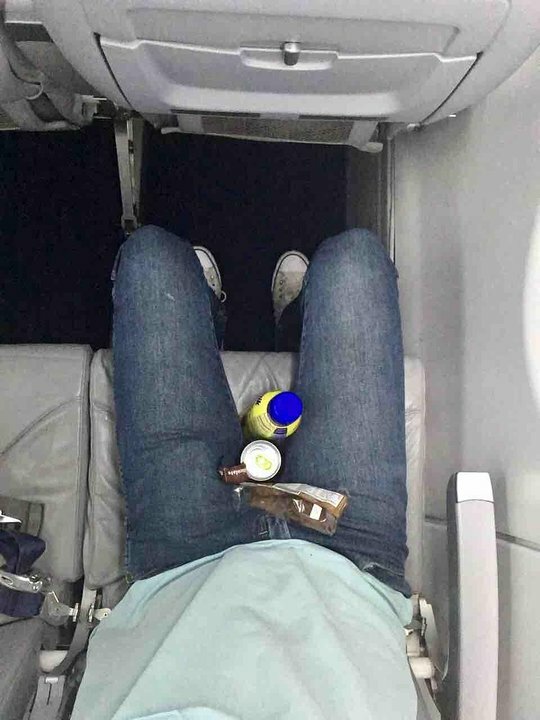 Beverages and a variety of snacks are provided on all flights. The Interjet Sukhoi Superjet 100 is a modern Russian made twin-engine regional jet. Interjet was the first airline in North America to add the SSJ-100 to their fleet. 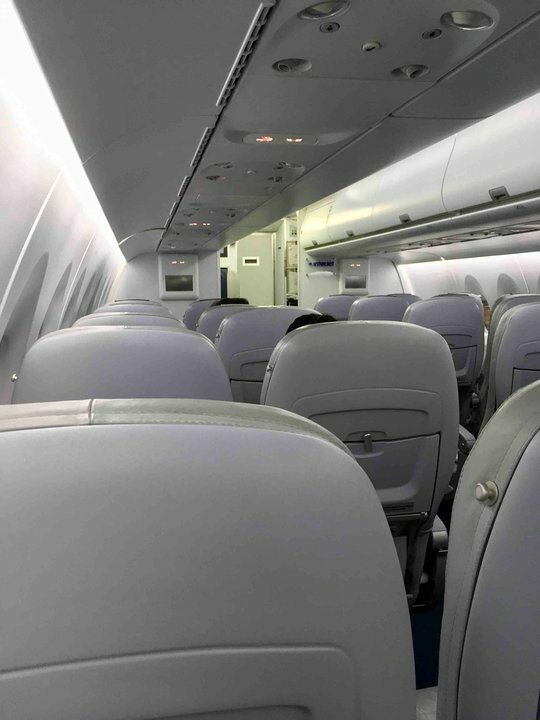 Interjet's SSJ-100's accommodate 93 passengers via Most Comfortable Space service, it can however, accommodate up to 103 passengers. Most Comfortable Space features 34 inches legroom space between seats with no additional cost. Row 1 has a LOT of space in front due the bulkhead is far away because there is no closet in there. But 1F has a missaligned window where the shoulder of the passinger is, so it's not a good seat to have a view. InterJet flies 1 versions of Sukhoi Superjet 100.